Do you think your product is unique? Statistically speaking, it probably isn’t, but that doesn’t matter when it comes to making your product stand out. Some of the most successful products on the market are hardly all that new or original. It’s important to be innovative and flexible, but there’s no need to reinvent the wheel to succeed. Take a look at Google. The guys behind it didn’t invent the search engine; but they did invent the most successful one ever. The reason for the success of Google is that they were able to differentiate themselves from every other search engine they’ve competed against. It wasn’t so much what Google could do, but how they showcased it. It’s this kind of approach that can market your brand in a way to make it truly stand out. Here’s how to make your product stand out in a crowded market. 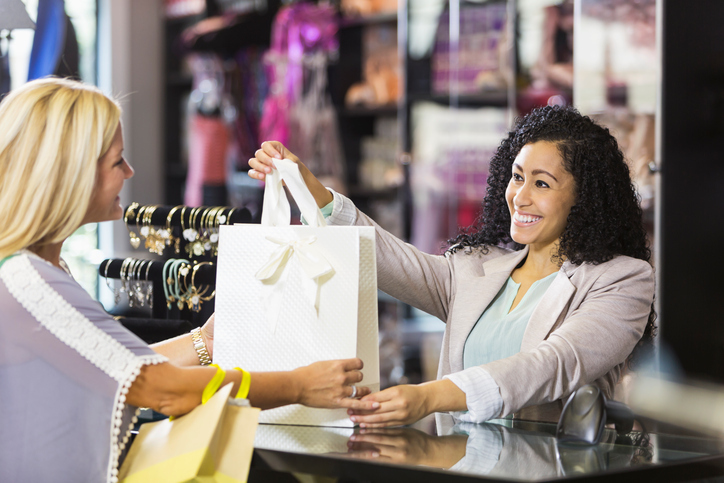 Reward loyal customers with discounts personalized to them and deals that really feel special. Starbucks was able to massively boost their business after introducing a rewards program. Get feedback from customers. It makes your audience feel valued if they believe their opinions are appreciated. Send out open ended emails and customer surveys. Businesses can sometimes forget that their customers are human beings who like buying things from other humans, not a faceless corporation. People can forget the human factor in the modern world, and you can’t afford to make this mistake. Create trust and passion through authenticity. Avoid stuffing your “About Us” page with useless business jargon. Instead write actual personal tidbits about the members of your staff, such as their favorite kinds of music, their passions, and the mistakes they find themselves making the most. Moz does this beautifully on their About us page. If you show videos and photos of your staff, make sure they are being themselves in them. Engage with people on social media. Avoid using your social media account strictly for promotion, and instead talk to your followers to get them asking real questions for you to answer. Donate some of your profits to a purpose your customers can believe in. doTERRA gives a great example of this through both strategic sourcing and their Healing Hands Foundation. You need to show yourself and show what makes you different from the competition. You can start by writing in the same way that you talk. Cutting through the usual business jargon and developing this authentic voice sets you apart from the competition and makes people remember you. Make it worth your customer’s time to network online with you by having people answering questions and delivering service through Facebook and Twitter. You can easily show yourself by creating unique email signatures with a tool such as WiseStamp. Put your personal picture, the company logo, links to social media or some of your favorite quotes. Reports show that you can boost your social media numbers and enhance conversion rates through this simple addition. If you want to stand out, then you need to identify what works already, and do more of it. Most people understand their personal strengths, but what about recognizing the strengths of your business, especially online? All the important aspects of business, such as your strengths and what is working, all boils down to one thing--conversions. Optimizely is a tool that is great for finding your strengths. If you don’t have a lot of technical expertise, you can use this tool to make some changes to your site, see the reaction of users, and identify what works best to get instant results. Whether you use an online tool or not, you need to find out which strategies and content are working the best so you can build on these strengths. Combining this with keeping up with the times, giving your business a human touch, and putting focus on relationships will show that your brand is one that customers can trust and turn to.